Manila, Philippines – Houston Rockets win against the Indiana Pacers, 116-96, to grab its first victory in the NBA pre-season (Global Games) before avid fans at the Mall of Asia Arena, Pasay City on Thursday night, October 10, 2013. James Harden fired 21 points by going four-of-five from the field, including a pair of 3-point conversions and spiked it with four assists. But it was McHale's ploy to start Patrick Beverly at point guard and Terrence Jones at power forward in favor of Taiwanese-American star Jeremy Lin and Lithuanian Donatas Motiejunas at power forward, respectively, as the Rockets bench got energized. Dwight Howard scored 9 points and saddled with foul trouble early to go with 4 turnovers in his second game. He had 19 points and nine boards in the Rockets pre-season debut defeat. Check out Houston Rocket Howard deny Paul George at the rim! 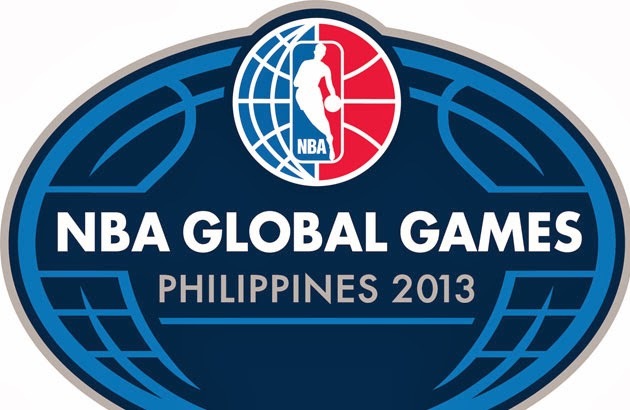 Filipino fans of basketball witnessed history as the NBA pre-season game has been brought to the Philippines. Reports say that more than 12-thousan attended the event at the MOA Arena, which is a historic first for the country. Pacers coach Frank Vogel said the Rockets just played better. "We arrived on the same day we had an equal share of practice so we can't say it’s the jetlag. The Rockets just played better than us," said the 40-year-old Vogel. Of all, Jeremy Lin drew the loudest cheer being an Asian like the Filipinos. Rockets scored better in the first half as it goes into the break up, 61-55. There was some booing from the crowd though after Lin dribbled past Lance Stephenson, who then found him hard late in the second quarter. Chandler Parsons, who admitted taking local celebrity KC Concepcion two nights before, also drew some cheers with his well-rounded plays. He had nine points from a variety of shots and had three assists, including a nice feed to Israeli Omri Casspi for a thundering dunk. The Houston Rockets led by as much as 13 points, 27-14, on a fast, aggressive start anchored on Harden. Meanwhile, excitement for Houston Rockers vs. Indiana Pacers match filled Twitter feeds as #NBAGlobalGamesPH dominated top trending topics. It's really a big event - the first ever pre-season game in the Philippines.